When you think of rum, what comes to mind? Sparkling beaches, palm trees, and tropical heat, perhaps? 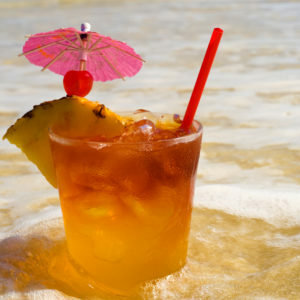 There’s a reason for that - some of the best, classic summer cocktails are made with rum. Celebrate National Rum Day today with one (or a combination of) these bright and refreshing rum cocktails. Bottoms up! 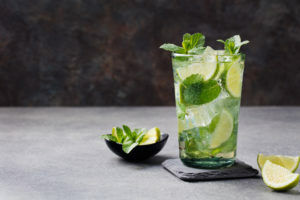 Mojito Did you know that the mojito was first invented in Havana, Cuba, and was actually originally used for medicinal purposes? While we no longer believe that mojitos can cure our ailments (but oh, what if they could!) they can definitely make a great summer day even better. I mean really - lime, mint, rum, sugar; how could you go wrong? Piña Colada Craving coconut? We’ve got you covered. 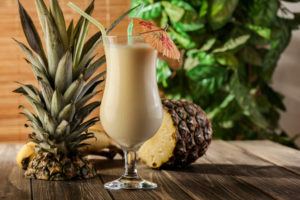 Even though “piña colada” technically means “strained pineapple” in Spanish, this tasty rum-based drink features both coconut cream and coconut milk, so it’s safe to say you’ll get your coconut fix. Rum Punch Trying to celebrate National Rum Day with a crowd? You can’t go wrong with a giant pitcher (or bowl...or plastic kiddie pool...) of rum punch. You can follow a recipe or channel your former college days and improvise, but always keep in mind the famous guidelines for a good rum punch: “1 part sour (lime), 2 parts sweet (sugar or simple syrup), 3 parts strong (rum!) 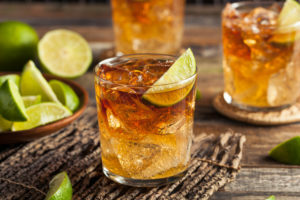 and 4 parts weak (water).” Dark & Stormy Though the name is a little ominous, the drink itself is anything but.The best Dark & Stormys are fizzy and tart with a little bite, thanks to the lime and ginger beer. Make sure you use ginger beer (not ginger ale) to make sure you balance out the richness of the dark rum! Frozen Daiquiri Nothing says summer vacation like lounging in the sun with a giant frozen daiquiri in your hand. They’re the quintessential beach drink - and for good reason! Daiquiris come in many different (delicious) forms, so grab your favorite bottle of rum and get blending. Hurricane Heard of this one before? Thought so. If you're looking to get a liiiittle extra rowdy, the Hurricane cocktail is your drink. Check out the recipe and learn somethin' about New Orleans too! Mai Tai Last but not least... the Mai Tai. This fruity, tropical cocktail is probably already a staple of your beach (and home) life. And if it isn't, it should be! Rum, coconut, pineapple, orange... does it get any better than that?